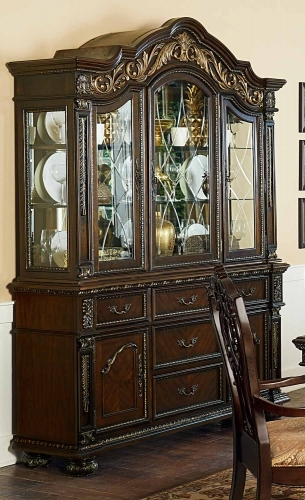 The elaborate designs of Old World Europe are treated with a distinct modern touch in the Homelegance Florentina Collection. 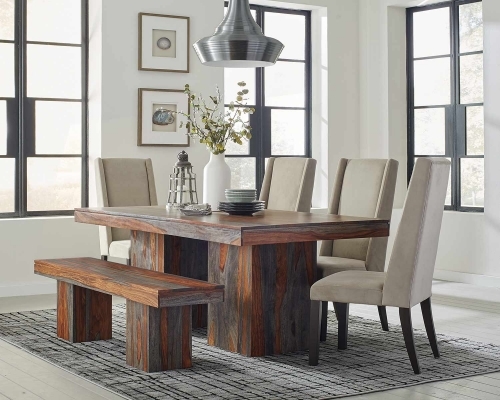 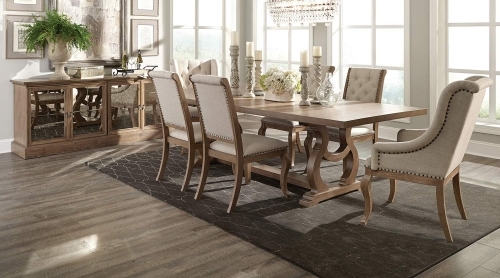 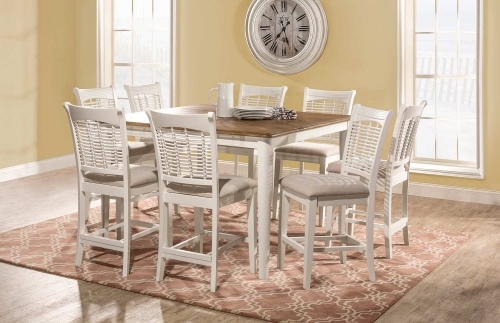 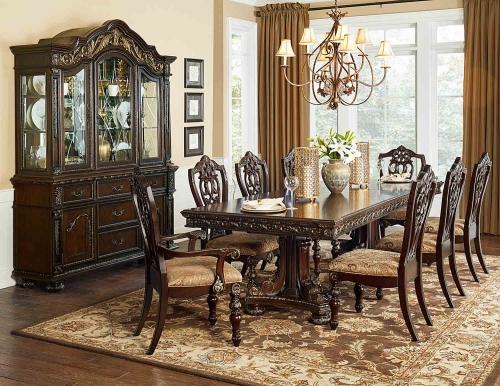 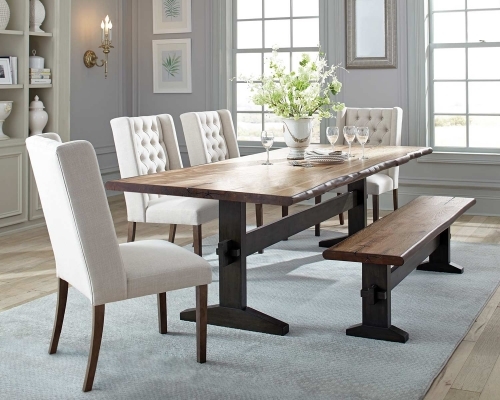 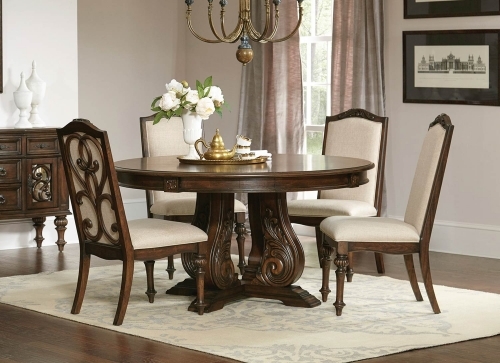 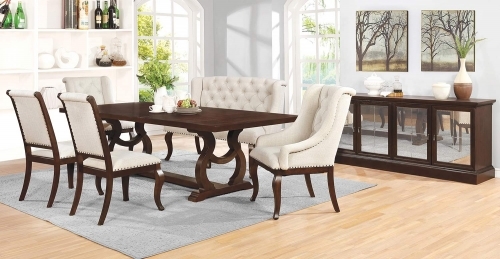 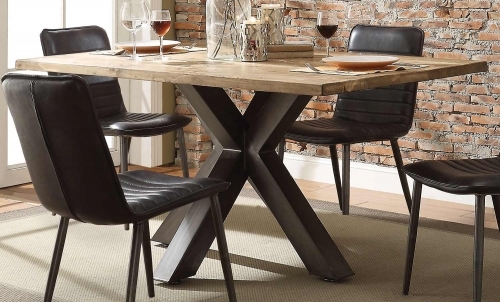 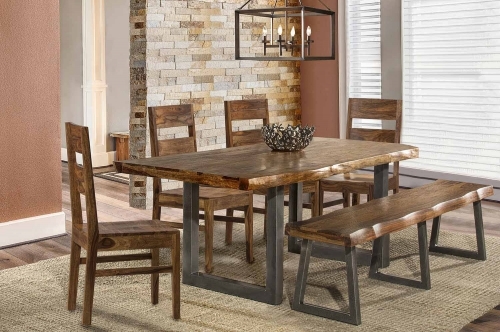 The elegant pedestal base table serves as the focal point of this stunning dining offering. 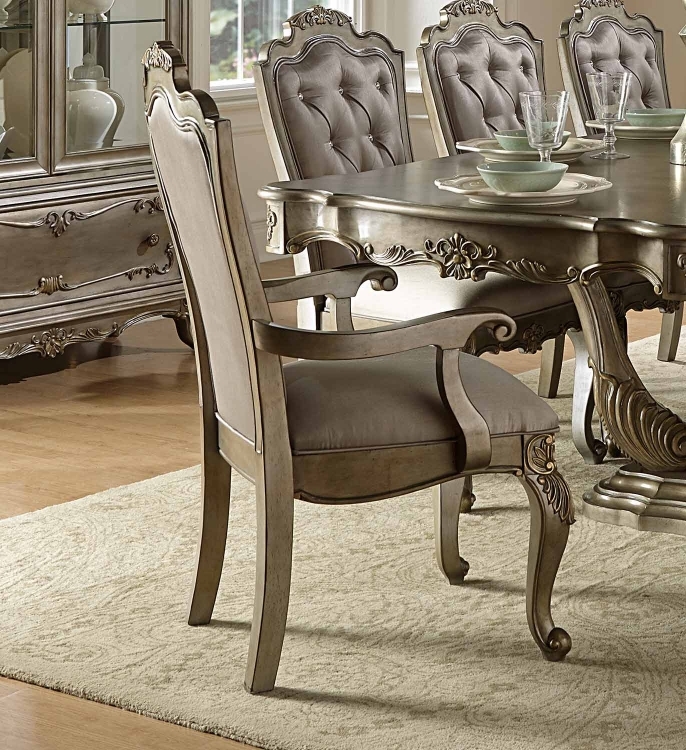 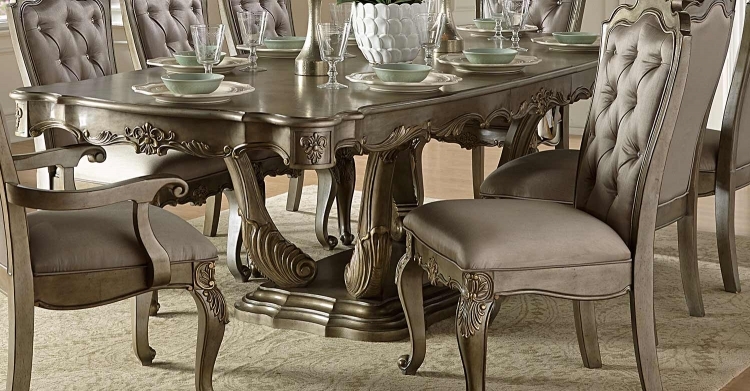 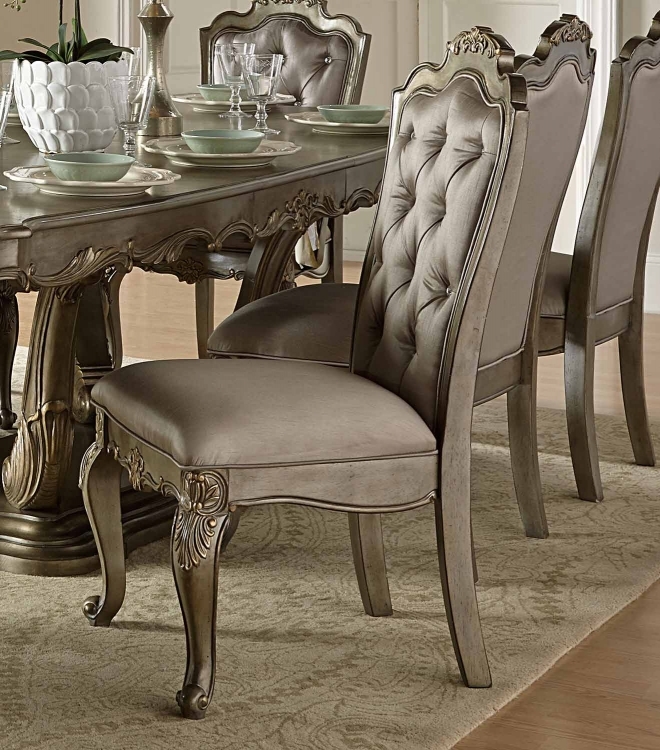 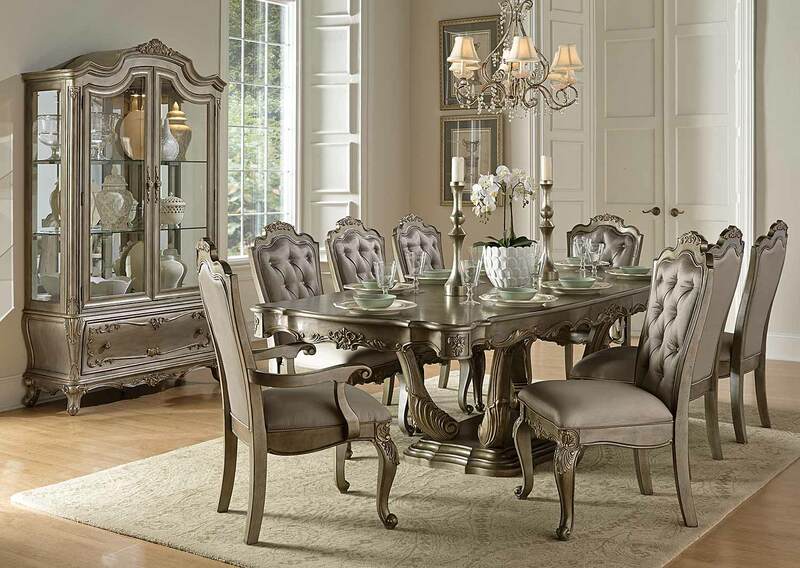 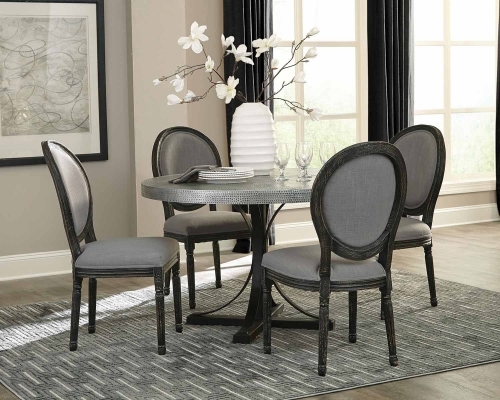 With details such as shell and acanthus leaf scrolling which graces the table's apron to the eye-catching jewel tufting of the accompanying chairs which reflect with a brilliance intended to accentuate the dusty taupe coloring of the faux silk and the rich silver ? 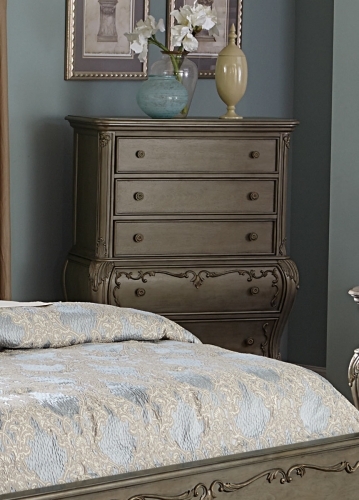 with gold undertone- finish of the wood veneer. 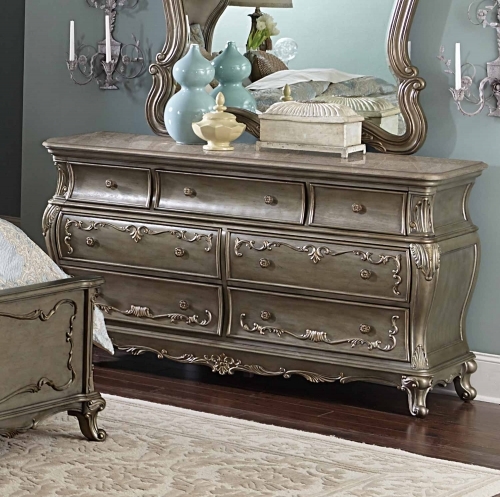 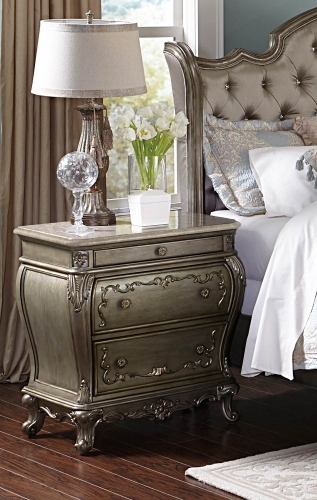 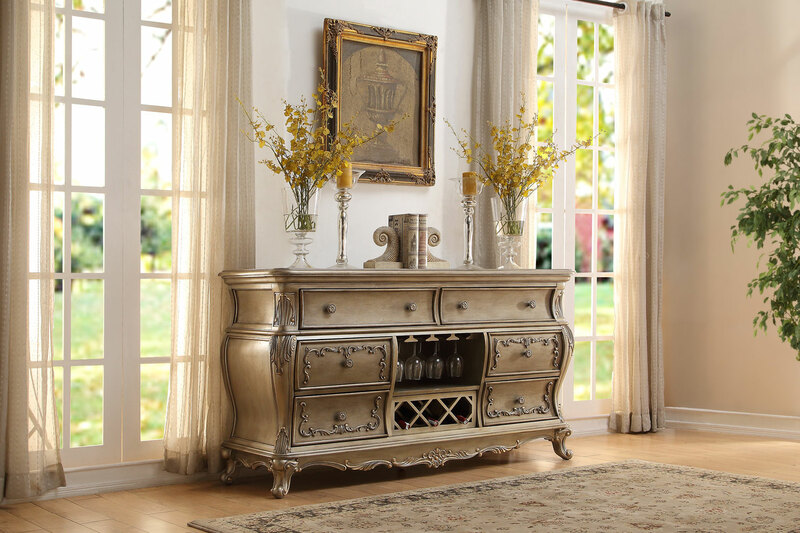 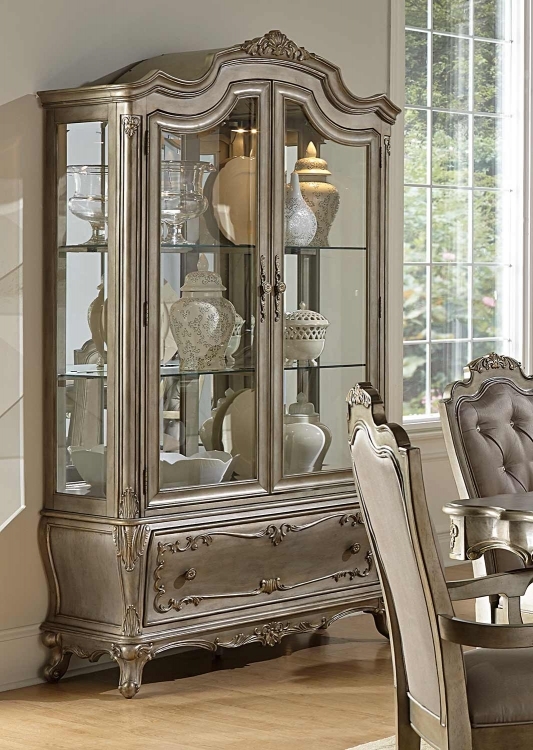 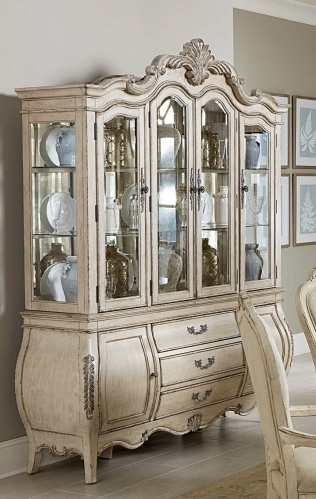 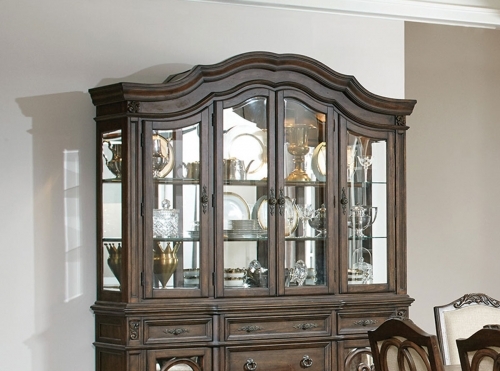 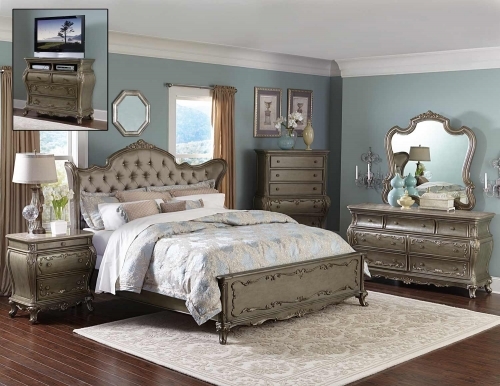 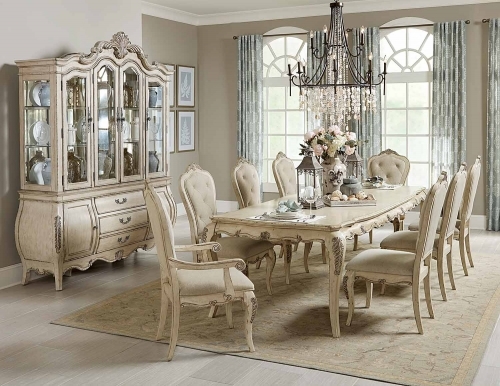 The acanthus motif is carried over to the display china, that along with carved cabriole feet, delicately designed knob hardware, glass shelving and drawer storage, complete the traditional look of the Florentina Collection by Homelegance.